A Getaway for Surfers, Explorers and Free Spirits. Miami Beach too glam? South Beach not a fit for your free-spirited style? Palm Beach feeling like a black hole of black tie galas? 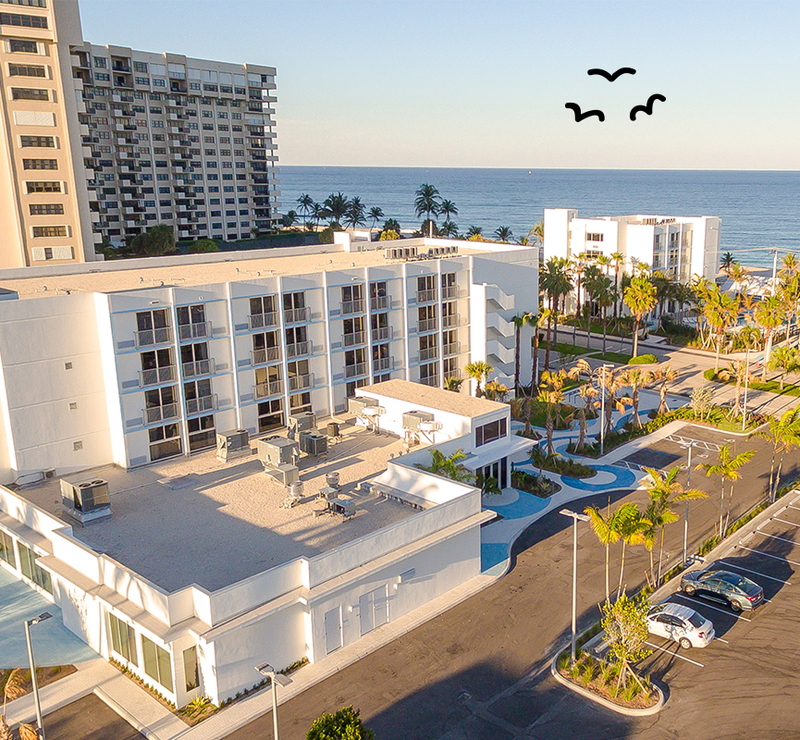 For open-minded adventurers who crave an escape from soulless hotels and scheduled experiences, Plunge Beach Hotel is a laid-back, bring-your-besties alternative on storied A1A in sunny Lauderdale by the Sea. With 163 guest rooms and suites, Plunge Beach Hotel is designed with today’s active, educated, tech-savvy travelers in mind -- but with thoughtful services and amenities sadly missing in today’s trendy hotels and cookie-cutter resorts. Sharpen your surfing skills, borrow a bike for a leisurely spin, kick back with friends over rum cocktails and fish tacos. Or simply do nothing at all.